Dear Ladies and Gentlemen, dear organizers, participants and supporters of the European Maccabi Games 2015! “Sports can play an important role in the improvement of each individual’s life, and even of whole societies.” This quote of the former Secretary General and Nobel Prize winner Kofi Annan describes exactly what the spirit of the European Maccabi Games is all about- the integrative and connecting effect. Sports has the power to connect people throughout cultural, religious and country borders. Sports has its own language and its own way to build bridges especially where conventional politics get stuck. Sports is an indispensable tool to promote freedom, tolerance and understanding in the world. In the summer of 2015, the European Maccabi Games will take place in Germany for the first time. Jewish sportsmen and women from 30 countries will compete in 20 disciplines. The EMG2015 will be held at the Olympic Park in Berlin – the same location where Jews were forbidden to participate in the Olympic Games of 1936. Especially this historical reference makes the European Maccabi Games such a strong and encouraging sign. As a dressage rider it makes me particularly happy, that the Olympic discipline of dressage riding will be part of the program. For this reason I happily accepted the patronage of this tournament. My thanks go to the organizers for their committed preparation of the event. I want to wish fair and successful competitions to the participating athletes, and enriching impressions to the spectators. 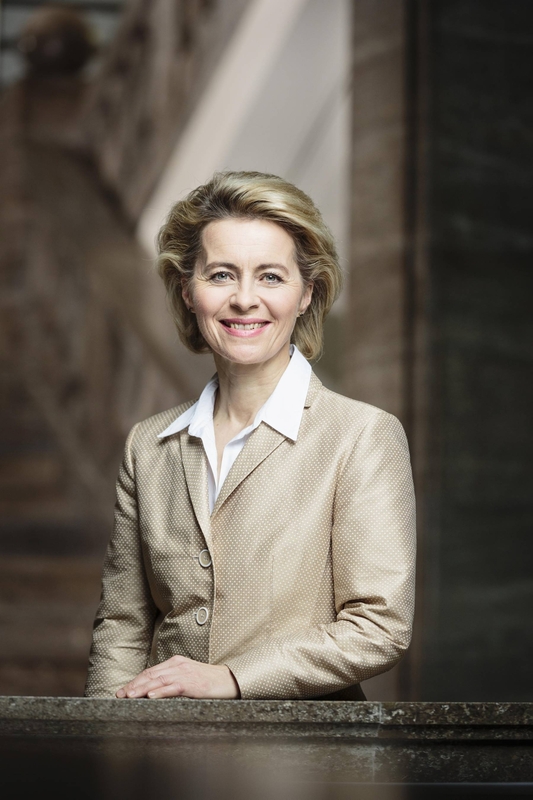 Dr. Ursula von der Leyen (*1958), Federal Minister of Defence, is a passionate rider since her youth.